Designed to get children back into programming, the Raspberry Pi is a small (matchbox size) computer that plugs into your TV and a keyboard. Although it can be used for a lot of the stuff you use your PC for, such as spreadsheets, word processing and games, it’s been developed by a charity to encourage kids to learn to programme. Eben Upton, founder of the little computer, set about designing it because of the declining capabilities he saw in new students wanting to take up Computer Science whilst he was teaching at the University of Cambridge. Today’s computers have made technology accessible to all, but on the flip side it has made up increasingly reliant on the microchip and even more ignorant about how it works. 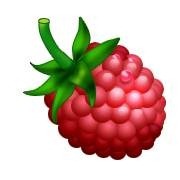 The reasoning behind the Raspberry Pi is to open up the world of electronics and programming to a whole new generation. “When I was [at the University of Cambridge] as a student in the mid-1990s, the typical skillset that undergraduates came through the door with would be assembly language, maybe a bit of C, BASIC and a certain amount of hardware hacking. So, will it bring the technology a new generation of programmers? Only time will tell. 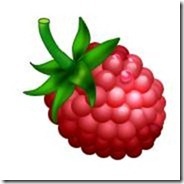 Do you have a Raspberry Pi? Perhaps you’ve also seen a shift in the knowledge of students? If so, leave a comment below and share your opinions.